The harvest has begun! 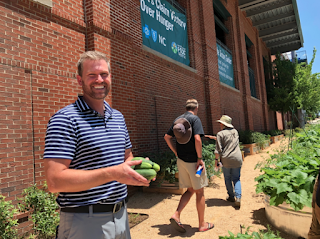 That's Bulls Assistant GM Chip Allen pickin' cucumbers in our streetside garden yesterday. 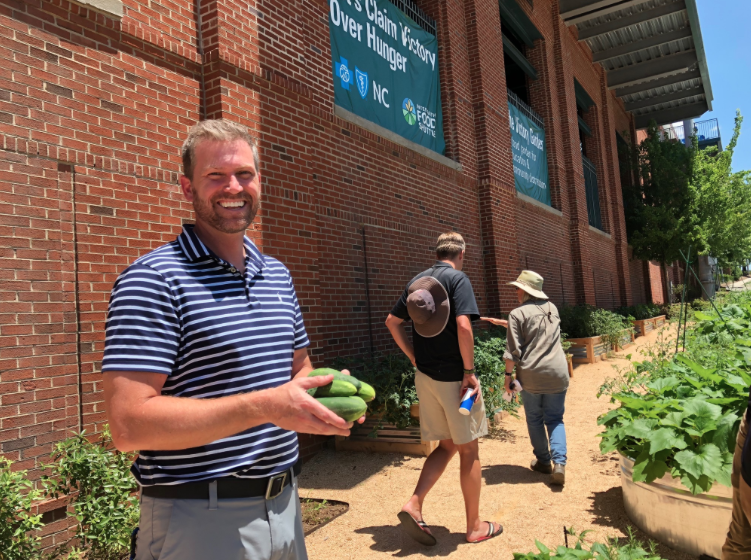 It's yet another addition to his job responsibilities as our Victory Garden bears produce. 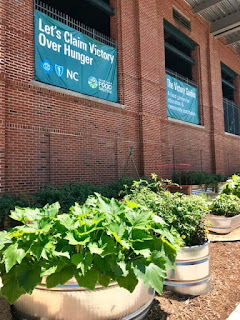 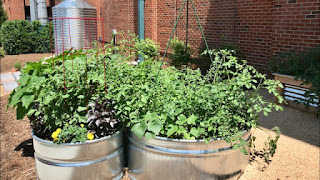 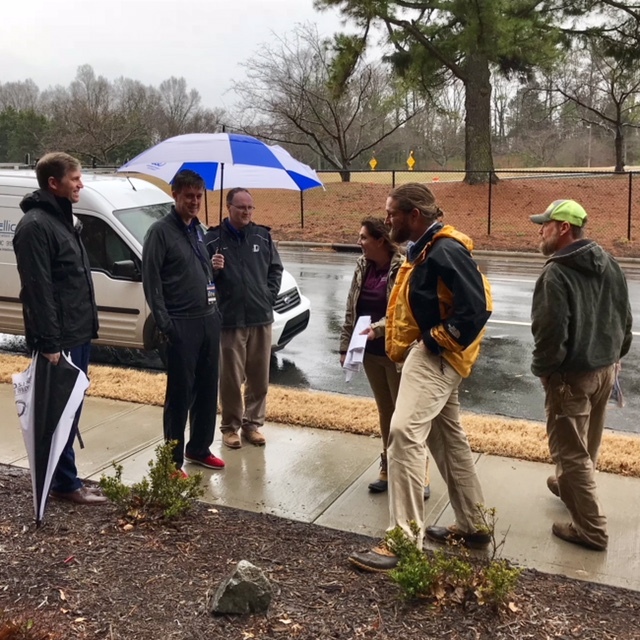 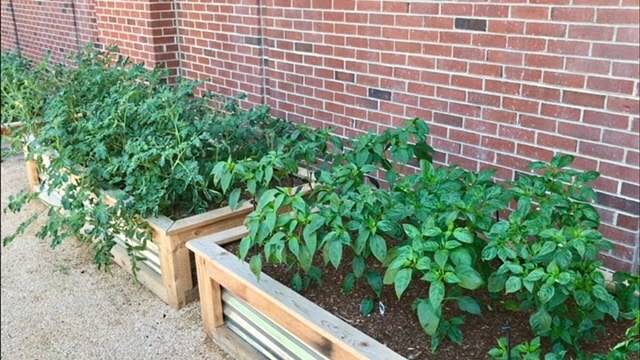 Here's the story on our urban garden, a joint project with the Inter-Faith Food Shuttle and Blue Cross and Blue Shield of NC. 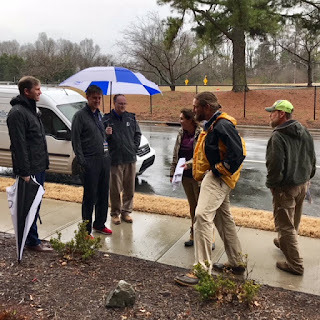 In the seven surrounding counties over 250,000 people are considered “food insecure.” The Inter-faith Food Shuttle website has more metrics on hunger in NC. The stats are troubling, and this garden is our modest effort at community nourishment. 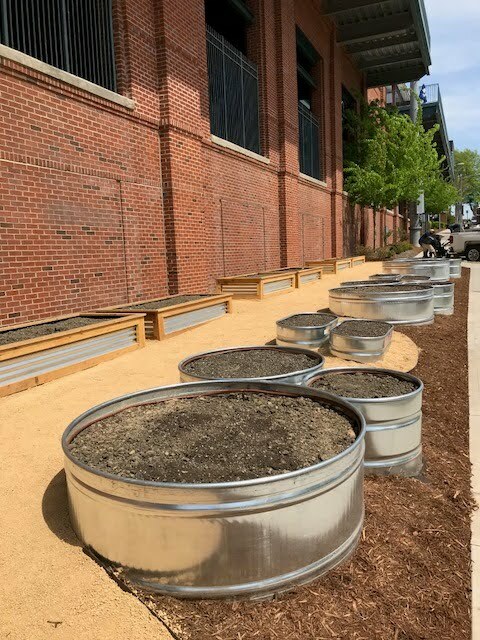 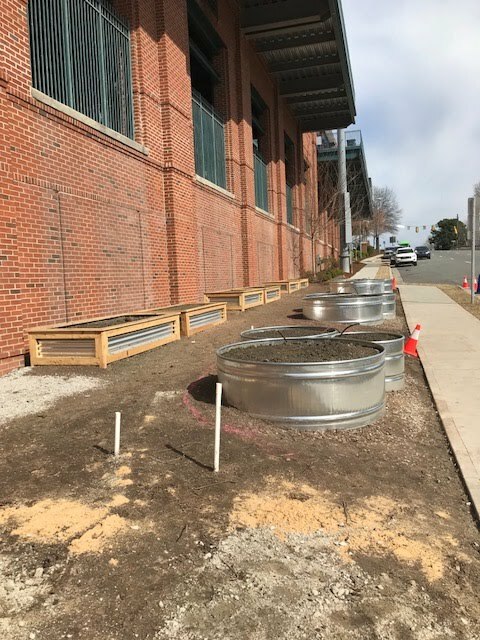 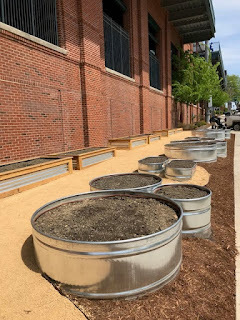 The veggies will be donated to local non-profits, school kids will visit to learn about nutrition and gardening, and thousands of Bulls fans will see this live exhibit about urban agriculture.